Comprising of England, Wales, Scotland and Northern Ireland, the United Kingdom has always been the best-loved and most-liked European tourist destination for many. The attractive countryside, historic cities, top-grade museums and exceptional theatres have always mesmerized the visitors. From famous shooting spots for series like The Game of Thrones to grand castles to amazing mansions and the scenic beauty of the Lake District, there are a manifold set of places UK has to offer where you can visit and enrich your trip. Feeling lost as to where to visit in a 2.5-lakh square km area sovereign state? You will not feel it anymore, just read on!!! If you choose to spend your vacation on the UK mainland, then this is the place which is a collection of small islands of Herm, Sark, Guernsey and Alderney. Here you can find superb food, luxury hotels and cheap cottages. If you are a resident of UK, you do not even need a passport to go here. In need of a plethora of choices and a short break, start planning for Guernsey today!! There are a million ways one can enjoy an incredible holiday as there is so much to do in Scotland. Great grand castles, island hopping, discovering whisky ecstasy at the distilleries, majestic landscapes and tour packages available with a lot of offers and deals at discounted prices. All the Game of Thrones lovers, how can you miss the Doune Castle which served as Winterfell for the filming of a pilot episode of The Game of Thrones. Being in UK, you cannot afford not to visit Scotland. This is an All-in-One destination for any tourist in England. A place you will be overwhelmed to visit. You have an itinerary or not, specific interests or not but this place has something for everyone. Tower of London and Cabinet war rooms for history lovers, National Gallery and Tate Modern for art lovers, Chinatown for Chinese cuisine lovers, Eden project for environmentalists and much more to offer on its plate. Stay is also not a problem; you can find numerous cheap hotel rooms and other deals. What are you waiting for, pack up your bag, London it is!!! It is a historic country of Northern England, earlier known as County of York. From Yorkshire Dales to Moors to Museums and Fountains Abbey, it has a lot of stunning places to offer for your visit. Budget friendly to premium experiences, casinos and gambling, want to enjoy all, Yorkshire is waiting to welcome you with its great deals and offerings! A famous fortress, home to Prince Charlie and an icon of Scotland which is undoubtedly world famous and is also a part of UNESCO World Heritage Site. It is also considered the most haunted place in Scotland. Do not forget to book your tickets online to enjoy the beauty of this castle and get great deals and promotional offers and also to avoid long queues. It is located in north-west England in Cumbria and has the second largest national park in the UK after Scotland's Cairngorms National Park. Love mountains and hills and like doing hiking and climbing? Lake district is the perfect holiday destination for you offering great deals and yet an amazing trip. The majestic mountainous region surrounding northwest Scotland is a beautiful land with jaw-dropping sceneries and views and a blend of cultural history and architecture. From historic sites to museums to exploring the Isle of Skye, this is a place you cannot miss to go to. Want to explore an unbelievable and unpredictable highland, Scottish Highland it is. Searching for some place to visit in Northwest Wales, glacial landforms and mountains of Snowdonia are what you would like to visit. Walk in the pleasing and alluring Snowdonia National Park, enjoy an island, take a ride on the steam train. Need a short break, or an epic weekend getaway with great deals and offers in your kitty, go and enjoy the amazing things to do and visit this place has. Leisure complex in Albert Duck or the Cavern Club and vast Gothic-style built Liverpool Cathedral, Liverpool is a coastal and one of the most pleasant cities in the northwest England. With a humongous variety of Hotels, attractions and restaurants, this becomes a favourite tourist destination. Pack your bag, set yourself free and reach any one of these places to enrich your next trip to the United Kingdom!! Do not forget to grab the best deals available on VoucherBucket, it always feels good to pay a little lesser, isn’t it? 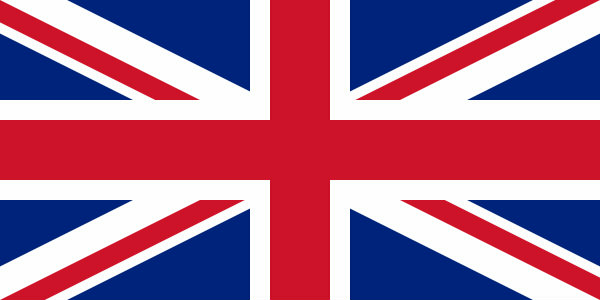 UK is waiting for you!! !